page and clicking the Please enter your PIN link. PINs are typically mailed 3-5 days after they're generated. They're sent by standard mail and usually take between 2-4 weeks to arrive. Make sure you know what to watch for in the mail by taking a moment to study the example PIN mailer below. 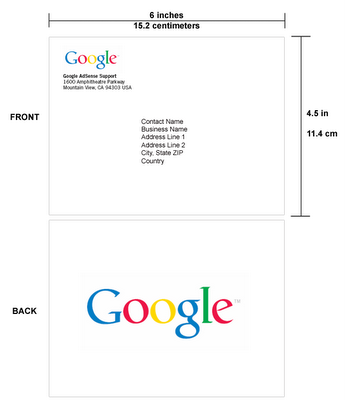 PINs are printed in postcard-sized envelopes with a Google logo. If we've already sent you a PIN, your payments will be on hold until you enter it into your account. You can request up to two replacement PINs if you don't receive the first one, and all additional PINs will be duplicates of the original. However, you'll need to enter your PIN within 6 months - after this time period, your account will be disabled. Before we can send you a payment, we'll send you a PIN. Your PIN is short for your Personal Identification Number, and it's your key to verifying your AdSense account so that you can receive payments. Once you've entered your PIN in your account and your account balance reaches US $100, you'll be all clear for payment, provided you've removed all other holds from your account. If you've reached US $50 in earnings, you can check when your PIN was generated by visiting your Payment History page and clicking the Please enter your PIN link. 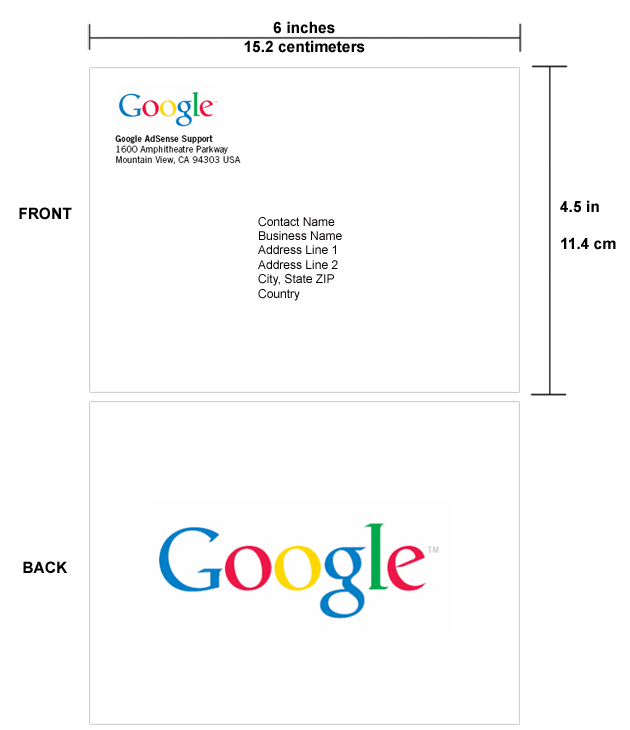 PINs are typically mailed 3-5 days after they're generated. They're sent by standard mail and usually take between 2-4 weeks to arrive.